Desert Lashes won the final 55 Second Challenge Heat at Moonee Valley, 22.3.19 (Racing Photos). 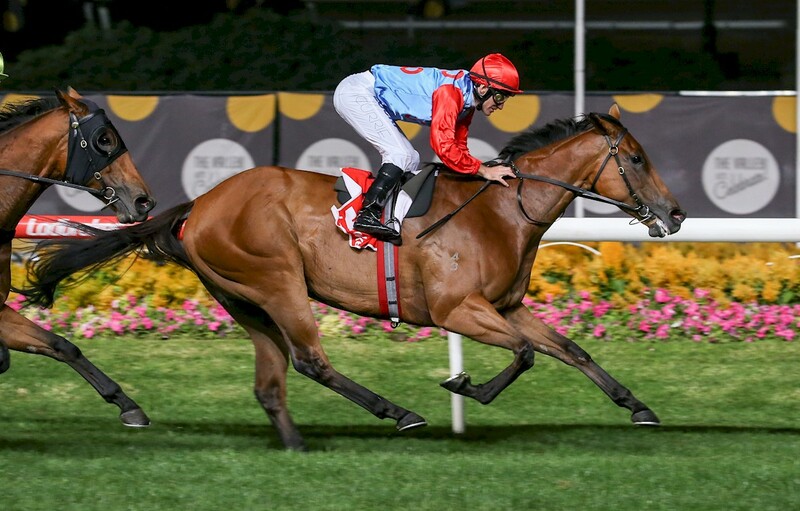 Victorian sired horses were at the fore on Friday night with Reward For Effort’s daughter Desert Lashes taking out the final heat of the night racing series and Written Tycoon’s Written Choice claiming the fastest time overall. 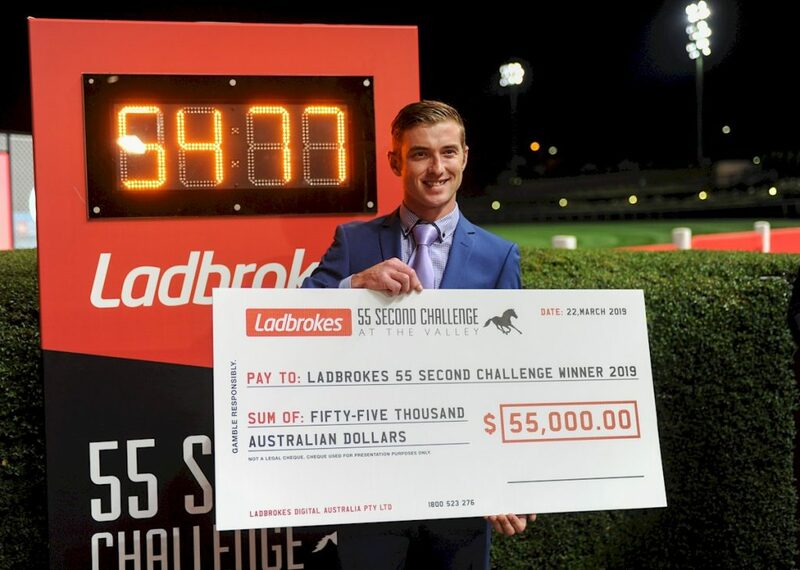 For the trainer of a fast horse, the 955-metre 55 Second Challenge at The Valley proves lucrative with $55,000 awarded to the slickest horse comes season’s end. Claimed this year by trainer Logan McGill, he was one of the nervous men on course as the sprinters dashed for the cash, but Written Choice’s time clocked at a sizzling 54.77 seconds on Cox Plate Eve remained unbeaten. Written Choice was on-speed throughout in setting his low mark. He clocked the first 155 metres in 10.60s off a standing start then went 10.78s from the 800-600 metres and 10.70s from the 600-400 metres, before coming home in 11.06 and 11.66s respectively. In terms of setting a fast time, it was the perfect ride from Stephen Baster, who ensured the four-year-old used every ounce of energy he had. Track Manager Marty Synan played down the prospects of the 955 metre time being lowered, suggesting the track won’t be as fast as it did the night Written Choice set his mark. But there was no doubt that the talented mare Desert Lashes was back to her best and certainly gave it a good shake. Desert Lashes shot to fame when winning her first eight starts in succession and has been consistent since then until suffering an unfortunate bleeding attack at Moonee Valley last October. Returning for her first run back from a break, the Tony McEvoy trained mare raced on the pace and sped clear to win a heat of the 55 Second Challenge in a brisk 55.53 seconds under Luke Currie. “It was a really good performance and it’s good to have her back,” said Tony McEvoy. A $6,000 Inglis VOBIS Gold Sale purchase from the Kristenvale Stables draft, Desert Lashes has won 10 from 19 starts earning over $400,000 in prizemoney. She is the best of five winners from the now retired Misha’s Bell, a three-quarter sister to Group II winner Silver Glade. Desert Lashes is one of seven stakes-winners for Reward for Effort, who covered 111 mares at Chatswood Stud last spring. Reward for Effort will be represented by eight lots in the upcoming Inglis Melbourne Gold Yearling Sale.